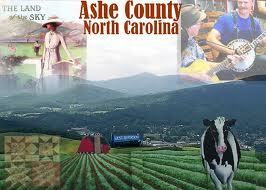 The people of Ashe County are largely quiet, dignified, friendly and respectful, they welcome newcomers to the area. They are a self-reliant people, who have a deep respect for their neighbor and expect the same in return. They value their Appalachia culture and down through generations have kept their mountain traditions alive through their music and story-telling. They readily adapt to change and new endeavors with enthusiasm and anticipation. Thousands of people come to visit the Frescos in Ashe County. Internationally renowned Artist Ben Long, painted his first fresco in St. Mary&rsquo;s Episcopal Church in West Jefferson. A year later, he painted a life size depiction of The Last Supper in the Holy Trinity Episcopal Church in Glendale Springs. 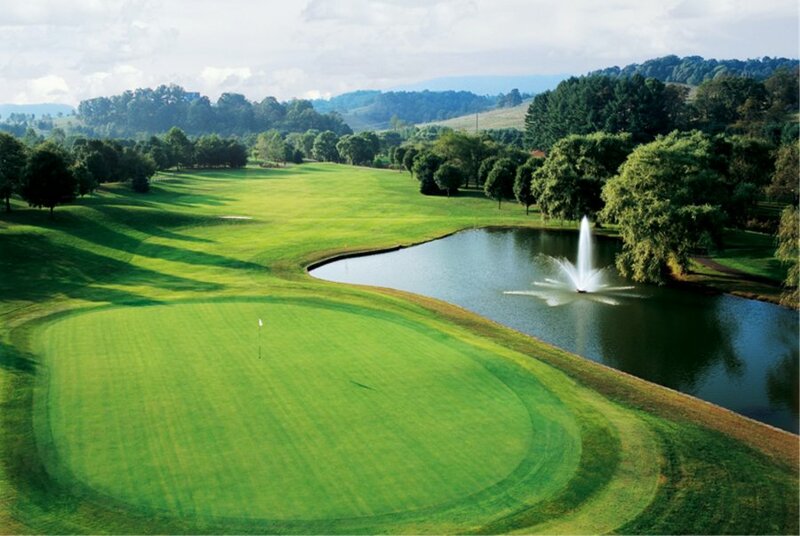 There are two golf courses in Ashe County, and several more within a 30-minute drive. The famed Blue Ridge Parkway makes its way through the county offering hiking trails, picnicking, rock climbing and other outdoor activities. The historical New River is great for canoeing, rafting and fishing, native trout streams for fishing are only a few of the many outdoor activities Ashe County has to offer. You could spend a lifetime in the area and each day meet new people and find interesting things to do. Nestled in a valley with the mountains above is the Town of West Jefferson. 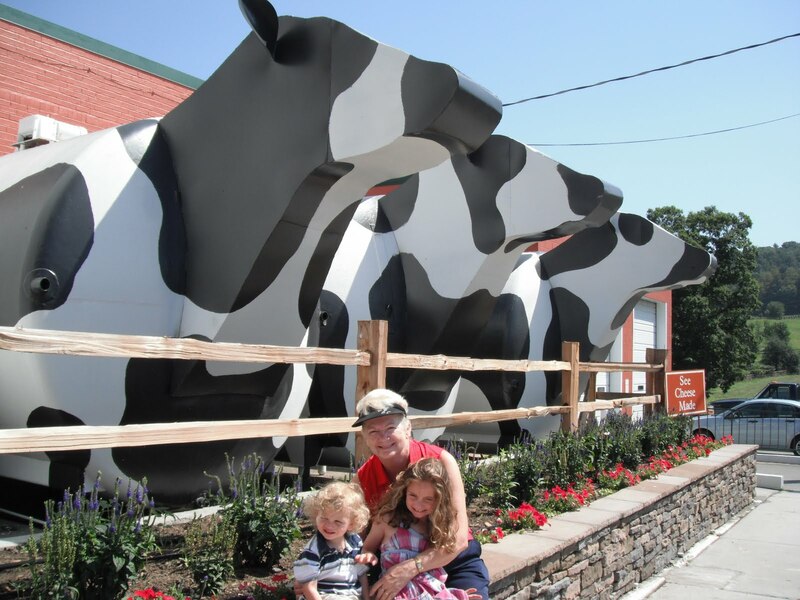 West Jefferson is well known for its street murals, its many art galleries in and around the town and for the monthly gallery crawls sponsored by the Ashe County Arts Center. The town offers unique shops, restaurants, mountain music, festivals, a town park with bi-weekly evening concerts, the Farmers Market on the back street offering organic vegetables, fruits, homemade items as well as handmade mountain crafts. See cheese made at the only factory in North Carolina, Ashe County Cheese is located in West Jefferson and the store in directly across from the plant. There is an antique strip-mall and many more antiques stores in and around the town offering additional shopping as well as in the Towns of Lansing, Jefferson and Glendale Springs. Ashe County parents are involved with their children. And, this is evident as they proudly spend more per student than the North Carolina average. Ashe County Schools maintain a low drop-out rate and their SAT scores far exceed the state average and the national level. 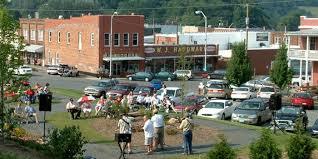 Ashe County&nbsp; is close to nearby area activities. The Boone and Blowing Rock areas are as close as 20-25 minutes away for those who enjoy skiing or sporting events. For those interested in continuing education, the opportunity lies in a short distance away at Appalachian State University or the Wilkes Community College in Ashe County, or Wilkesboro. 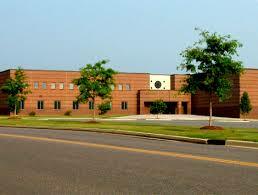 For those interested in the arts, the Florence Thomas Art School is also located in West Jefferson. 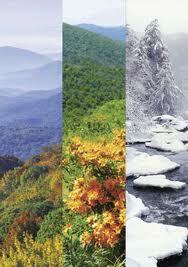 Ashe County has four distinct seasons. The high elevations (5,100 feet at highest elevation) provide temperate summers, beautiful autumns, mild winter snows, and a refreshing new beginning in spring. Ashe County encompasses approximately 427 square miles of diverse terrain from farm land at 2,300 feet in elevation to 5,500 feet on mountain tops. There are approximately 27,151 full-time residents, a population density of 64 persons per square mile. During the summer months, this number increases as Ashe County becomes home for many summer residents who spend summers in the cool mountain breezes of the North Carolina Mountains. Ashe County is easy accessible to the surrounding cities: Charlotte is only 2-hours away. Winston-Salem – Greensboro is only 1.5 hours away. Raleigh-Durham and the Tri-Cities are easy access to and from Ashe County. Ashe County Airport is large enough to accommodate corporate and private jets. If you&rsquo;re looking for a quiet community in which to purchase Blue Ridge Mountain Real Estate, look no further. A1 Mountain Realty is located in one of the most unique communities in the Appalachian Mountains. Here, cherished traditions and modern conveniences come together to create an ideal atmosphere in which the events of daily life unfold seamlessly. It is easy to see why Ashe County Real Estate is so sought after. The Ashe County MLS contains everything from Land for Sale in West Jefferson to Ashe County Cabins. Looking for Ashe County Farms? We&#39;ve got you covered. Searching for perfect Ashe County Homes for Sale? You&rsquo;ve come to the right place. In need of dependable NC Home Inspectors? No problem. Browse A1&#39;s website (www.a1mountainrealty.com) or stop by the West Jefferson Real Estate Office in West Jefferson to learn more about the unique lifestyle that makes this area so special.